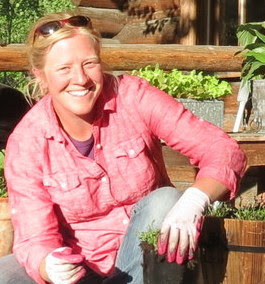 University of Minnesota horticulturalist Emily Tepe will discuss "The Double-Duty Sustainable Garden" at the Garden Fever event on March 8. Don't miss the Carver-Scott Extension Master Gardeners' horticultural and environmental education day. The only problem: It doesn't matter how "done" I am, the weather is gonna do, what it's gonna do (i.e snowing me into my house today). So I will continue dreaming of gardens (this has been going on for several weeks now). Today's garden dream is all about Garden Fever, the Carver-Scott Master Gardeners' 16th annual horticulture education day. The event, which is scheduled from 8 a.m.–3 p.m. March 8 at the Oak Ridge Hotel and Conference Center in Chaska, sounds fabulous. The day includes presentations from keynote speakers, Emily Tepe, a University of Minnesota horticulturalist who wrote The Edible Landscape, and Doug Mensing, a senior ecologist with Applied Ecological Services. In addition to the keynote speakers, there will also be a variety of educational sessions covering topics like bees in the garden, garden art and sustainable lawn care practices. There will also be a vendor exhibits, a buffet lunch, door prizes and a silent auction. Register before February 28 for $40. Registration is $45 after February 28. Click here to register online. Go ahead, do it; it'll help remind us all that winter has to end... eventually.